The new 2018 Toyota C-HR is a crossover like no other. It’s filled with sophisticated standard features like leather trim and a seven-inch touch screen, while being powered by a strong, peppy 2.0-liter engine. Combining the best of sporty, coupe styling and the intelligence and versatility of an SUV, the Toyota C-HR is both exciting and practical. The 2018 Toyota C-HR comes offered in two trim levels: XLE and XLE Premium. The new 2018 Toyota C-HR wears a distinctive, edgy exterior styling. Sharp angles are accentuated by the 18-inch alloy wheels and LED Daytime Running Lights. Modern taillights sit beneath the standard rear spoiler, which is both functional and stylish. On the inside elegance abounds, from the standard leather-trimmed steering wheel and satin-plated shift knob to the dual zone automatic climate control. There’s plenty of room for passengers to stretch out comfortably, and standard 60/40 split rear seats easily make room for cargo. You’ll love the 2018 Toyota C-HR so much you’ll want to take all of your friends and family for a ride. You can feel confident and secure doing so because the Toyota C-HR comes equipped with advanced safety features that are ready to protect and react. The standard Toyota Safety Sense™ P package includes things like the Full-Speed Range Dynamic Radar Cruise Control which adjusts your speed to the drivers in front of you. The package also comes with Lane Departure Alert with Steering Assist and Automatic High Beams. Smart technology extends beyond the necessary and into the luxurious and convenient in the 2018 Toyota C-HR. A standard 4.2-inch Multi-Information Display provides information like fuel efficiency and the external temperature. For entertainment, a standard seven-inch touch screen is mounted in the center console, and is home to things like the Aha Radio™ app with thousands of channels and Bluetooth® connectivity. A 2.0-liter four-cylinder engine is the source of power in the 2018 Toyota C-HR, and delivers peppy acceleration plus impressive fuel economy. Special sport-tuned suspension makes the Toyota C-HR a nimble and responsive ride, expressing the performance-oriented, coupe side of this unique crossover. It’s clear that the 2018 Toyota C-HR is a crossover like no other. 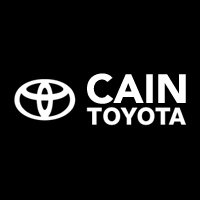 Call Cain Toyota today to see for yourself how this sporty vehicle can provide the best of practicality, comfort, and performance.